Last week, my computer crashed taking a year’s worth of email and documents with it. The back up is corrupted too (if I owe you a response, please let me know). Also last week, a friend who owns property in another state was awakened at 3 am by a phone call informing her that her place was on fire. This week, another friend discovered that his wife has a boyfriend. Each event felt emotionally troubling and caused quite a bit of logistical hassles too. I can only speak for myself, but it’s likely that we all shared a moment of “why me” thinking. We’re human and unless we choose our direction, the mind will go straight to such reactive thoughts and behaviors. What amazed me was that each of us, as soon as we became deliberate in our thinking, chose to accept the event instead of spending days, weeks or worse, lamenting, regretting, rehashing or complaining. We simply said yes to the event and took the best present actions we could. Emotional pain and upset are not caused by an event itself; the same event can be interpreted a myriad of ways. For example, a man dies. One may see his death as a shame, another as a release from worldly troubles, another as a deserved consequence, another as a heartache, one may even see it as a fortuitous event. 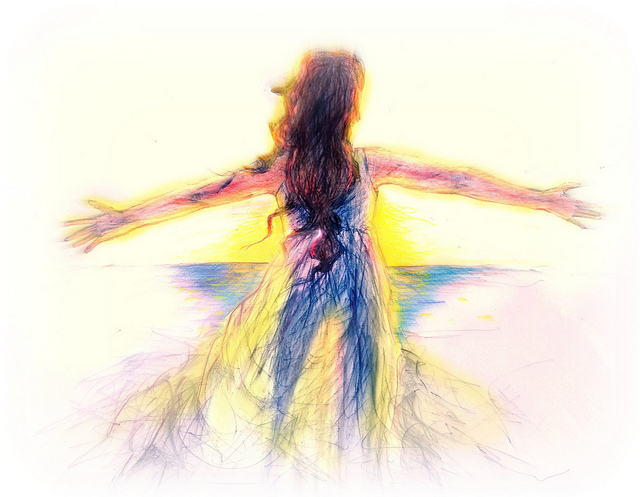 Emotional pain and upset are caused by our unwillingness to accept what has occurred. Through our resistance to what is, we bind ourselves to upset, sadness, frustration and anger. Sometimes, when the meaning of what’s been lost or harmed is great, it may be too much to ask oneself to accept it immediately; the grieving process is vital. However, retaining the concept of acceptance as the ultimate goal is helpful. For most events though, fast-tracking oneself to a state of non-resistance and acceptance of what has occurred can take the teeth out of a situation, place one on the path to making the best of what remains, and moving forward. Wonderfully, once that happens, the gifts hidden within the event come forth. 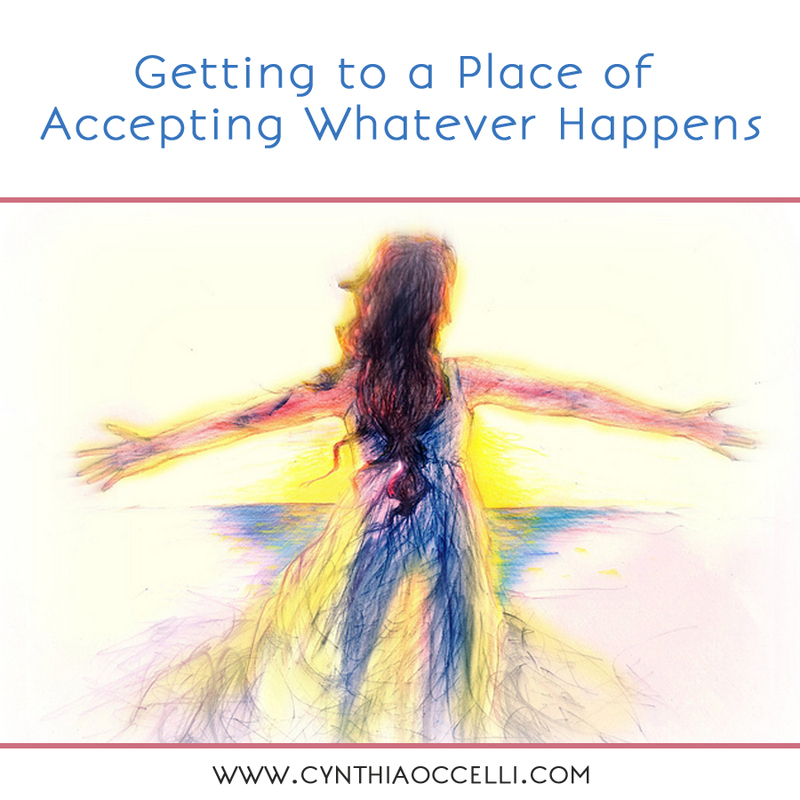 The next time something, little or not so little, goes wrong try moving into a place of acceptance. It happened. I accept it. I’m moving forward from here. This is your life. Let nothing rob of you of its goodness. Last year my life partner of 25 years passed away, we were very together, always taking care of, and listening to each other – very much a part of our lives – we were a real pair to draw to, so to speak. 6 weeks later on Halloween, I tripped on the sidewalk and got an open double fracture of my right wrist. Emergency surgery, and home the following night. I made a decision right there that this is what happened, and the only sane way of getting on with living was to do what I always did, with some adjusting and some family and good friends, relax and do what I have to do till I could do what I wanted…namaste..
You are such warrior Elizabeth. You always amaze and inspire me. It's funny how life provides when you need it to. I needed this today. Awesome words. Isn't it funny how this is stuff we *know* in our heads but it takes so long for our hearts to *know* it, too? I can’t tell you how many times I’ve had the wisdom and answer and it just hadn’t sunk in yet. I completely agree. Thankfully, it does happen if we want it to and persevere. Thank you for sharing your attention and thoughts with me, Paris. I’m grateful. Me too – Cynthia – so many times you seem to be posting about things that I need to hear right in that moment in time! Its like its all in Gods plan our paths crossed. XXOO Ave Maria !! my friend!! Ave Maria!! Funny how this is easier to do with some things. Death of a loved one, surprisingly, is a lot easier for me to accept than a betrayal. Even tragedies can affect me very deeply but I can accept and move on. A betrayal…oooh that’s a tough one. More than once it’s had me running around in circles, beating my head against the wall. That probably has much to do with the uncompromising loyalty you contribute to your relationships. The good thing with that one is you can accept that it happened and then move away from it, so you don’t have to encounter it again. Also, being mindful of reciprocity as you build relationships of all sorts is valuable. I love you, Sister. Cynthia thank you for sharing this with us. As another has written, we know this but to resist the resistance so to speak would benefit me more. I sincerely needed to read this. As I look at my past and how I deal with crisis or my point of view when things happen. I see acceptance as the key to all life problems. Things change and they will be how they are going to be. I find this reading very comforting to my spirit. Thank you Cynthia and everyone here.